Remove all console storage devices, including any USB flash drives, external hard drives or the internal hard drive on the Xbox 360 S console. Locate the hard drive cover release (near the back on the right-hand side of the console). Disconnect your console from your modem. 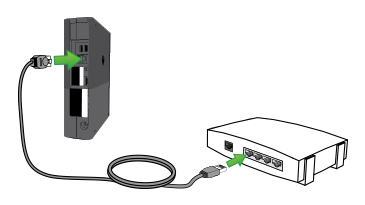 Re-connect your modem to your router and your console to your router.